Razorback Forged Level Head Rake Forged Head 16 Tine 66 "
Head Width: 17 in. Handle Length: 66 in. Handle Material: Wood. 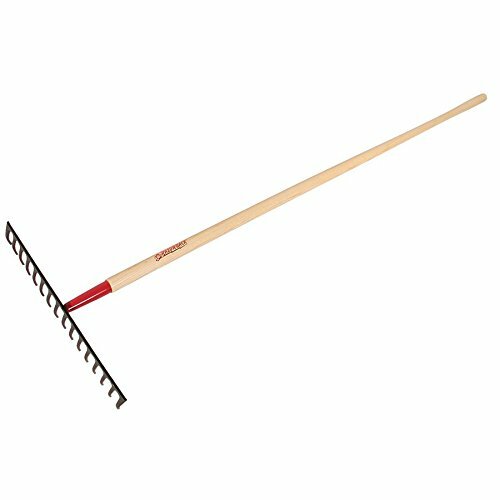 Rake Width: 17 in. Coated Tines. Head Material: Forged Steel. Tine Material: Forged Steel. Rake Shape: Curved. Manufacturer: Ames True Temper Inc. Publisher: Ames True Temper Inc. Studio: Ames True Temper Inc.